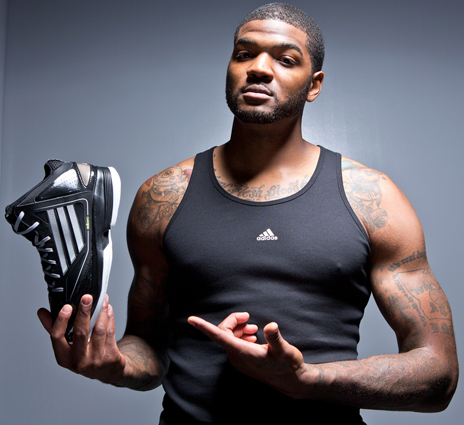 When Atlanta Hawks forward Josh Smith reflects on his home court, Philips Arena, his feelings are understandably mixed. The A-Town native loves it when a packed house goes bonkers after he throws down one of his monster jams; he just hates it when that same packed house of fickle fans erupts just as loudly for Blake Griffin or Dwyane Wade. It has to be a humbling experience to be a superstar player, making millions as a savior of an NBA franchise, yet having to essentially audition for a spot on a basketball team. 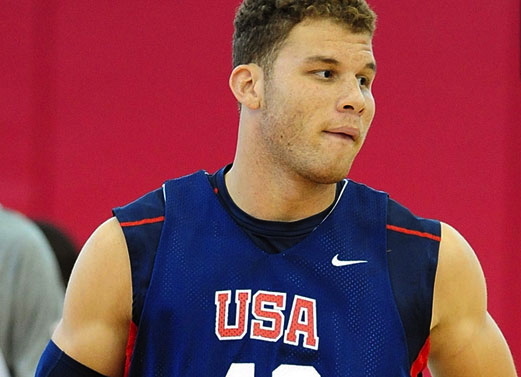 That’s basically what Blake Griffin had to do in Las Vegas last week before USA Basketball Men’s National Team coach Mike Krzyzewski and chairman Jerry Colangelo. But as the world knows by now, Blake, Andre Iguodala and James Harden dazzled enough in their respected casting calls to be granted the final three spots on Redeem Team 2. I was in the audience for the official roster announcement on Saturday. Coach K spoke about commitment and upcoming challenges; Colangelo discussed athleticism and roster depth; Kobe Bryant and LeBron James made their usual patriotic proclamations. As for Blake, the gravity-ignoring All-Star just sat quietly on the stage, looking like the new kid in class. Thankfully, after the announcement, the Clippers’ prized pupil was in a more talkative mood, electing to chat with reporters about everything from the selection process to his humbling role on the super squad. Click this SLAMonline link to see what BG told me and the rest of the group. Angel McCoughtry, star forward for the Atlanta Dream, is arguably one of the 10 best female basketball players on the planet. Last season, the 6-1 offensive machine was first-team All WNBA, tied for the league lead in scoring (21.6 points per game) and the main reason the Dream made a second consecutive WNBA Finals appearance. She’s already leading the League in scoring (22.6) this year. Later this summer she’ll take her hoops act on the road with the U.S. Women’s National Team as it goes for gold at the Summer Games in London. How she finds time to dominate on the court while still pursuing her other love, professional singing, is beyond me. Congratulations on making the U.S. National Team. What does that feel like? Oh man. You know what? I mean, it was a couple years ago I was watching the U.S. team in China and all the girls that I am playing with now were on that team, so it’s like, “Wow, I’m on this USA team with the girls that I was just watching a few years back.” So, you know, it was, of course, a goal and a dream. I think that anybody who plays a sport, they actually dream about it. We know everybody doesn’t get to go, but to be a chosen one…I’m very honored and it makes me work a little harder. You know, some people work hard and they get there and they are like, “Ooh, I’m here. Yeah.” But I’m like, “Man, this means I want to work even harder now.” It is always a motivational thing. Let’s stay with motivation for a second. The Atlanta Dream have done really well in the playoffs, but you haven’t quite gotten over the hump. What is going to be the motivation this season to get to that next level? Um, I think last year would be motivation enough. I mean, we started out rough and it was a tough moment for us, so I know that we don’t want to go there again. So that is motivation enough. The great thing about the team is that we learned from [the WNBA Finals]. We didn’t quit. We could have easily quit, but we didn’t. We kept fighting and showed our heart. So, everybody works pretty hard on the team, you know what I mean? It is a bunch of great people. It is really a lot of fun to play with the group of girls that we have, a lot of great personalities. And I am really starting to get to know [Dream ’12 draft pick] Tiffany Hayes. Good girl. She is a sweet girl and she can play. So, we definitely got a steal, a good steal. If you were WNBA commissioner, what are a few things you would change about the league? If I was WNBA commissioner, the first thing I would change is our commercials. Our commercials basically only come on NBA TV. Our commercials would come on any channel at any time, because that is how you get real promotion. I mean like, when people watch NBA TV, we’ve got those fans already. You know what I’m saying? Like when, for instance, a reality TV show is on [makes more sense for an ad]. One of those commercials needs to be a WNBA commercial. And millions of people would view that. So, I definitely would figure out a way of hiring one of the best PR/marketing firms in the world. Then, not only would the WNBA be broadcast in the States, but the whole world would know. They will know the girls, the superstars, in the WNBA. In China and India, they all need to see our face. You know, they know the NBA players all over the world. Why don’t they know us? We work just as hard, we’re just as good. We’ve gotta get promotion. People need to see us. And that’s it. People only know what they see. They’ve got to know that we can ball like we can. If I knew somebody at the league, I would definitely slide your name on their desk. Now, besides being a great basketball player and WNBA lobbyist, what else do you do really well? You already know that! Music. I love music and I’m really passionate about it. And honestly, I’ve been getting good. Of course, you’ve got the people that are like, “Oh, you need to stay in your lane. You’re a basketball player. No basketball player is successful in music.” Well, guess what? Those were men basketball players, honey. You’re about to see the first woman basketball player [succeed] in music, because I’m working on getting a record deal, and my music…people like my music. It ain’t cheesy. It’s very professional and sounds great. And I got some more videos coming out soon, and I’m gonna do great things with the music thing, you just wait and see. I’m gonna surprise people. People will be like, “That ain’t Angel.” So, that’s my goal. How did that love for music come about? I always loved it growing up, but I never really went for it. So, about last year, I was like, “You know what? I’m gonna actually do something that I set out to do.” I’ve been playing ball since I was eight. I know I got this down. But sometimes we’ve gotta step out of the box. Sometimes people are going to be negative about it, but so what? You’ve got to step out of the box. You have to broaden your mind. So that is what I did, and it just started where I got a beat and I started writing. My song “Illusion,” I don’t know if you’ve heard it, but I wrote that all by myself. In one night, I wrote that song. [The latest single] “Baby I’m a Star,” I had help with that. I had writers and all that. But, “Illusion,” I just wrote that all by myself. I just started writing music. [I thought] I’m gonna do this. I started getting people around me to help me, the right people, and it really just started taking off from there. That’s why I said, if you have a dream, you just have to really go for it. You don’t know unless you try. We all have dreams that we just kinda let pass by sometimes. Shoot, if you just actually try to do something with it, who knows what can come about? Over at SLAM.com, they’ve been publishing old stories that introduced current NBA stars when they were in high school. 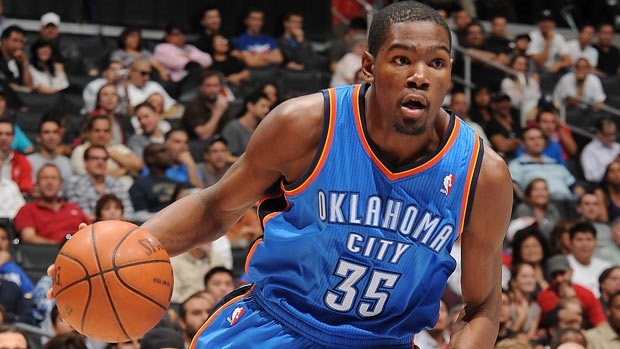 Before recently, I didn’t realize I was the first person to debut to the nation a skinny kid from Maryland named Kevin Durant… Yep, the same Kevin Durant currently starring for the Oklahoma City Thunder in the NBA Finals. But look here and you’ll see that I was. Kinda cool, huh?